Think about this: As the world now knows, an entire city’s water supply was poisoned by a series of decisions switching the city over to unsafe river water. Jack Lessenberry talks about oil drilling in Southfield, Michigan. Nobody checked to see if the water was safe; nobody added corrosion control chemicals to prevent lead from leaching out of the pipes. The Michigan Department of Environmental Quality did nothing to stop this. Instead, there is considerable evidence that they lied and tried to cover up how bad things were. MDEQ bureaucrats and its spokesman showed considerable contempt for anyone concerned about the water quality. Eventually, when the truth began to come out, the governor fired the head of the MDEQ, his obnoxious spokesman, and at least one other bureaucrat. None of those facts are in dispute. So imagine that just two months later, a greedy politicians turned self-styled “bishop” comes to the MDEQ with a proposition. The congregation he founded has a church in Southfield, a crowded Detroit suburb. They see dollar signs, and want to allow a Traverse City company to drill for oil on church property. The neighbors are angry and frightened. Many of them have well water and are worried what might happen. The citizens, the mayor and the city council are totally against this project. When the MDEQ finally agrees to hold a public meeting, a thousand people pack into a high school auditorium to protest against oil drilling. Given all that, can you imagine the MDEQ would allow oil drilling to go forward? Well, guess what: Of course they did! This is the Snyder administration, the bishop, Keith Butler, was a Republican politician, and it is something a business interest, Traverse City-based Jordan Development wants. If you missed the announcement the project has been approved, that may be because it came on primary Election Day, when attention was focused elsewhere. I wonder if that was deliberate. If this were a cartoon, he would undoubtedly have a German accent. Late on election night, I finally got hold of the mayor, Kenson Siver. A retired teacher, he has lived in Southfield for nearly half a century. When I asked if he intended to keep fighting against drilling in his city, he responded with one word. But Southfield doesn’t intend to give up. Right now, the city has temporarily banned any drilling until April 28, and is working on a legal way to permanently prevent it in residential areas. “We will be monitoring the site,” Mayor Siver said. “If any activity – drilling, etc. – should take place we will immediately seek injunctive relief.” MDEQ officials do say they don’t normally try to override local ordinances. The question is, will this middle-class community be able to win this fight? The answer may go a long way to determine what rights Michigan citizens and communities have these days. Michigan voters sent the political and media elites a message of defiance last night. The elites told the people how to vote, and the people told them where to go. 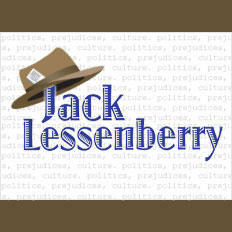 Jack Lessenberry reaction to the 2016 Presidential Primary Elections in Michigan. On the Republican side, every establishment figure on two legs made scathing attacks on Donald Trump. Mitt Romney, who lost his home state by a landslide four years ago, was somehow felt to be the right messenger to tell the rank and file not to vote for Trump. Well, for once Michigan seems to have set our presidential primary at the right time, neither too early, nor too late. Today, we could have a decisive effect on both parties’ races. Jack Lessenberry talks about voting Today. When my sweetheart and I got home last night, we each had a robocall on our land lines. Hers was from Brian Calley urging a vote for John Kasich; mine from Mitt Romney urging one for Marco Rubio.